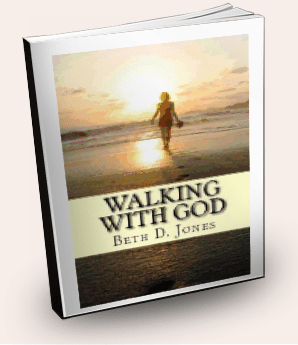 Thank you so much for purchasing my ebook, Walking With God! I pray this ebook will bless and encourage you. After purchase, you will receive an email with the download link to your ebook – no waiting, no shipping costs, conveniently on your computer, Iphone, or Ipad! If you have any questions about your purchase, email me at elizabethdjones@gmail.com. Want to go more in depth with each chapter of this book? Check out my quiet time, devotional, 7-audio series here.